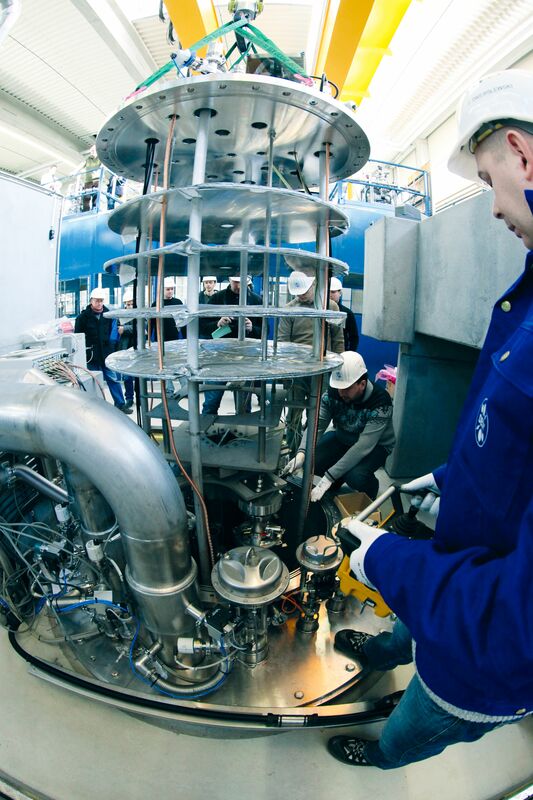 Eight hundred superconducting cavities for the European XFEL have to be passed through the hands of experts. 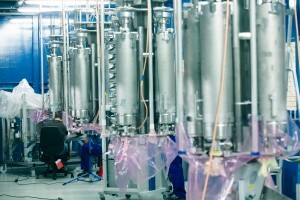 Their industrial production which was completed in September was covered in the previous issue. However, it is still a long way to go for DESY and its partners to a complete particle accelerator. In this issue, you can read more about the sophisticated inspection of the finished cavities and why these tests are meticulously documented. Red and green containers with resonating cavities reach DESY by lorries and are unloaded in the so- called Accelerator Module Test Facility (AMTF). The red containers come from the company Research Instruments in Bergisch Gladbach, the green ones come a long way from E. Zanon in Italy. In the AMTF hall, which was custom-built for the testing of accelerator modules, the cavities are delivered to Jacek Swierblewski and his 40-member team of technicians and engineers. The whole team comes from the Institute of Nuclear Physics of the Polish Academy of Science (IFJ-PAN) in Cracow, Poland. The team working at DESY represents an in-kind contribution of the institute providing labour to the construction of the European XFEL. The team settled in easily: “Collaboration with DESY is working out well, the important contact partners are always present and open for questions,” said Swierblewski. An important contact partner at DESY is Detlef Reschke. As the so-called Cavity Owner, he always keeps an eye on all delivered cavities. “My work goes hand in hand with the Polish team,” said Reschke. “The team carries out the cavity measurements and I evaluate the results and decide how to further proceed with each cavity.” However, Detlef Reschke does not have to do the job alone, he too gets support from the AMTF team and from DESY experts in order to cope with the large amount of cavities and measurements. A clearly defined structure and sequence provides for an equal inspection and testing of each individual cavity. After a cavity has been delivered, the first step is an incoming inspection carried out by the AMTF team. “Now, the cavity’s mechanical manufacturing is tested,” explains Swierblewski. “Length, circumference, fit of bolts and position of all other components are checked with millimetre precision. If everything is allright mechanically, we control radio frequency and vacuum. This is followed by the real test.” The cavity is equipped with all electrical connections and, together with three other cavities, is lowered into one of the two large underground cryostats in the AMTF hall. The cryostat is filled with helium to cool down the cavity to its operating temperature of minus 271 degrees celsius. Only this way is it possible to test its accelerating qualities. One of two cryostats for vertical cavity tests in the AMTF hall. “During a vertical RF test, two important parameters of the cavity are measured: quality and accelerator gradient,” says Reschke. Its quality (or: quality factor) is used as a standard for future thermal loss. This means that the higher the quality of the cavity, the less thermal loss is to be expected in future operation – which means lower operating costs. The accelerator gradient indicates how much energy a particle will gain when traversing the cavity. This is defined by particle acceleration; however, the particle does not increase its speed but its energy, as even particles have a speed limit: the speed of light. This can be compared with a lorry driving on a German autobahn at a speed of 80 km/h. When the lorry is more heavily loaded, it gains weight and transports more goods to its final destination. Similarly, the additional energy of the particles can be used later on. Therefore, it is necessary to accelerate particles, i.e. load them with energy, just like empty lorries rarely travel on the autobahn. 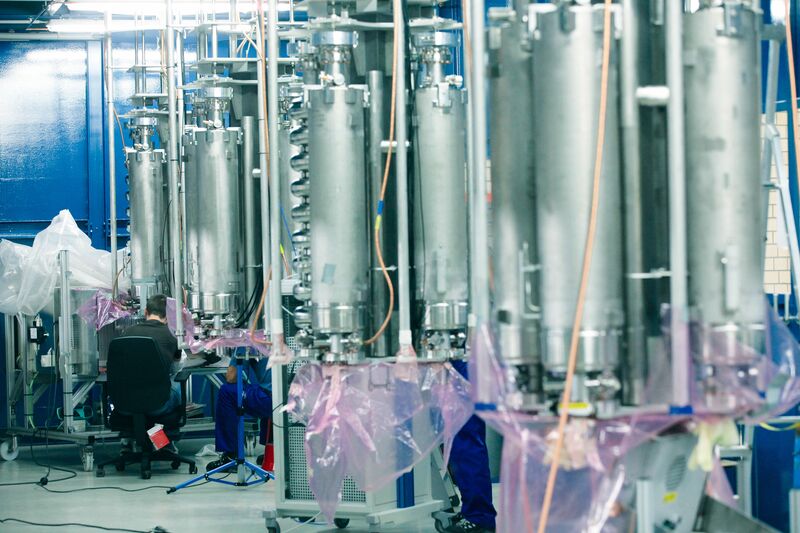 The cold test itself takes about two and a half hours; if you count assembly and disassembly, it takes several days. When a cavity fulfils the accelerator gradient and quality requirements, it will be sent directly to CEA/Irfu in Saclay near Paris. If not, it will get a follow-up treatment in the clean room. Almost 70 percent of the cavities delivered by the firms meet the required standards at the first RF test and can be transferred right away. The final document of a cavity provided by DESY is its outgoing inspection. “The out-going inspection is important because it determines the state of the cavity when loaded into the lorry,” says Swierblewski. The cavities that went through the acid test can finally be installed into the accelerator modules. For this purpose, they are transported to Saclay via German and French motorways. 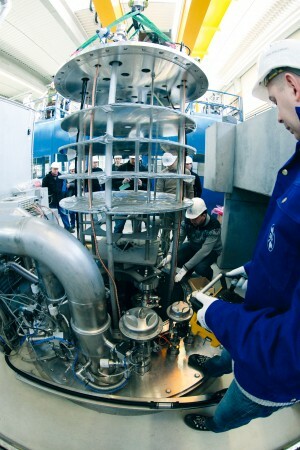 Read about the construction of the accelerator modules in the next issue.